TU known as Tribhuvan University is one of the best and the oldest university of Nepal. It is internationally recognized university of Nepal. Shankar Dev campus, a part of TU is one of the best management college in Nepal. Its ultimate goal is to prepare students for growing in the field of business, Industry, and government. It has been providing the cost effective, socially relevant, modern technology based management educational program in Nepal. There is always a tough competition in the entrance exam of this campus. Graduated from Shankar Dev college will have better chance to get job opportunities in the Nepalese market. KU is known as Kathmandu University, the second best college for the students who want to pursue management course. It was established in 1993 and famously known as KUSOM. It was established under Kathmandu University. It has been more than 20 years this college is serving in the Business sector of Nepal and is now one of the leader B-school of Nepal. The school is known for its quality standards and innovative trends. It has been providing high quality managerial, entrepreneurial and intellectual resources for the growth and success of the business enterprise of Nepal. It is situated in Balkumari, Lalitpur. Ace institute was established in 1999 to prepare the students to meet the challenges and opportunities of the 21st century. It’s BBA is considered as one of the best in the country. It has a long history and is now one of the leading institutions that enhance the capacity of the graduates to help them in the nation building goal. In order to get admitted in its BBA program, you must have completed the Higher secondary course. Besides other than Higher secondary, you must submit the equivalence of your course from TU or HSEB or PU. You have to submit a statement of purpose and give a computer based test. 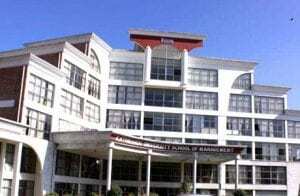 Kings college is another best college to study BBA program in Nepal. It was established in 2003 with a vision to provide a world-class education to the students of Nepal at an affordable price. Its BBA program is highly recognized in the market as the graduates will have better chance to compete in the business field. The college is promoting values-based higher education that blends the best of East and the west concepts, application and life purpose. Beside BBA, it has also been offering MBA programs. It has a group of committed educators and professionals. White house graduate school of management is established under Himalayan Whitehouse International college. Students are encouraged to think themselves, research their own project and find the results. It is organized by a team of highly qualified professors. The college values in excellence, creativity, entrepreneurship and ethical behavior & respect. Its motto is to make students think now, think smart and think ahead. It also offers MBA programs to the students.